The full-time MBA at Southampton Management School goes beyond traditional business functions, like Finance, Marketing, Strategy and, instead, encourages students to integrate all the main functions into real business scenarios. The MBA will enable candidates to think about, and respond to, actual business challenges by taking different management perspectives. Taught at the Executive Education Centre at Southampton Management School, the full-time MBA course meets the global standard of the Association of MBAs (AMBA), through a broad curriculum aimed at developing candidates' complete business skillset. Key management theories and concepts are taught by inspirational academic staff who also carry out cutting-edge research in their specialist areas. The integrative approach that stands at the core of this course enables students to apply the theories, knowledge and skills gained throughout the programme. More importantly, it gives students a wider management perspective that will prepare them better for leadership roles in the future. To provide MBA students with the most relevant learning and to enable them to compete in a rapidly changing global environment, the MBA programme also includes a residential week in The Netherlands. Students have the chance to visit a range of different companies and learn about their experiences of trading in a globalised environment. These visits will be complemented by lectures from leading European practitioners and academics, and talks by the European Commission in Brussels. A 1st or 2nd class honours degree from a UK university (or equivalent overseas/ professional qualification in an appropriate subject ) and relevant levels of work experience. Candidates whose first language is not English are required to provide evidence of competency in English by reaching an appropriate standard in an approved text such as IELTS, TOEFL and the Cambridge CPE (grades A-C) or the CAE (grades A or B). On succesful completion of all programme requirements, candidates receive their Master of Business Administration (MBA) title from the University of Southampton. 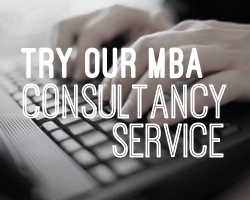 The Southampton MBA is structured in four parts. The first part comprises nine core modules. The second part involves the choice of two optional modules. The integrative section, part three of the course, involves four inter-related elements and a substantial amount of group work, giving candidates the opportunity to pull together and apply theories studied before. On successful completion of these parts, students progress to Part 4, which takes the form of an MBA dissertation. Full time study on the MBA full time course follows a schedule in which formal instruction takes place on 3-4 days per week. The rest of the week is used for group work and individual study. In accordance with AMBA requirements, participants should expect at least 500 hours of formal contact with our academic staff. The cost of this MBA programme is £23,500 per candidate.